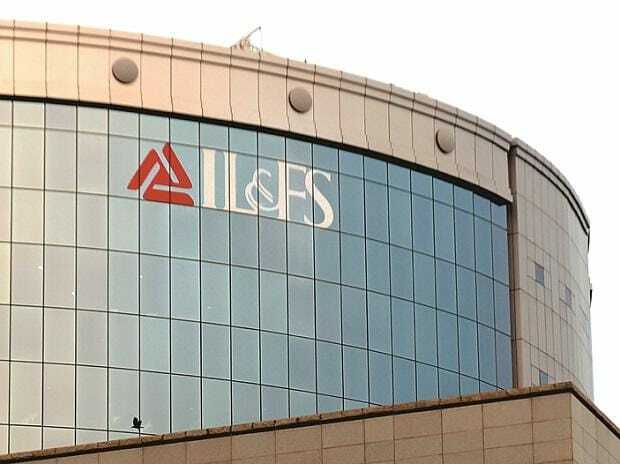 Tasked with cleaning up of mammoth financial mess at embattled IL&FS, its government-appointed board has charged 14 former directors of group firm IL&FS Financial Services Ltd (IFIN) of facilitating money laundering, sanctioning loans in violation of rules and causing "huge financial stress and losses" to the company. In show-cause notices issued to the 14 former directors, the new management has charged them of having "sanctioned loans deceptively to external and group companies with sole objective to infringe RBI guidelines of excessive exposure of IFIN to intra-group companies." They have also been accused of extending loans for "criminal intent of falsification of repayment by a number of borrowers, including some entities associated with large corporate groups. The notices, dated February 27, have asked former directors to reply within seven days upon receipt as to why departmental and legal actions should not be taken against them for their "misconduct, dereliction of duties, gross negligence and acts of conspiracy and getting unlawful gains for oneself and others." Officials said no reply has been received from any of the 14 noticees and the board is set to follow up the notices with stern action, which may include filing of cases. When contacted, IL&FS (Infrastructure Leasing and Financial Services Ltd) spokesperson Sharad Goel declined to comment. The notices follow an extensive special audit ordered by the new board and conducted by Grant Thornton of crisis-hit IL&FS Group, which identified numerous financial irregularities in deals with financial implications of over Rs 13,000 crore. IL&FS Group, which operates at least 24 direct subsidiaries, 135 indirect subsidiaries, six joint ventures and four associate companies, is sitting on debt of Rs 94,000 crore and landed in a major controversy last year following multiple defaults, prompting the government to supercede its board. The audit report has identified at least 29 instances where loans disbursed to borrowers appeared to have been utilised by their group companies to repay the existing debt obligations with IL&FS Financial Services Limited (IFIN). LIC is the single largest shareholder with over 25 per cent stake in IL&FS and Japan's Orix Corp owns a little over 23 per cent. IL&FS Employees Welfare Trust holds 12 per cent in the company. The Abu Dhabi Investment Authority, HDFC and Central Bank of India hold 12.56 per cent, 9.02 per cent and 7.67 per cent, respectively, in the cash-strapped company. SBI has the lowest stake, at around 7 per cent, in the company. In the show-cause notice, former IFIN directors have been accused of sanctioning loans worth thousands of crores to certain entities by "overlooking negative assessment by the credit risk assessment group" and without recording any cogent justification, despite having full knowledge that the assets of the borrower entities were stressed. Besides, loans given to several entities were written off, the notice said, while charging the former directors of being "prima facie responsible for causing financial stress and losses to the company by acting in a malafide manner". In some cases, the notices have alleged, the former directors were responsible for sanctioning loans without any security or with inadequate collaterals. The former directors have also been charged of "facilitating money laundering" by some entities who diverted the loan amount to individual accounts of directors of the borrower company, including those from the IL&FS group itself. As such individuals were allowed to go scot-free, it showed "conspiracy in loan sanctioning," the notice said. The former directors have also been accused of facilitating some external agencies, including contractors of ITNL (IL&FS Transportation Networks Ltd), to become lenders and earn as an intermediary. In some cases, the directors were instrumental in deceptively creating "senior lenders' rights" in favour of such intermediaries after default of ITNL had already taken place, the notice has said.